Abraham Kuyper: Dutch Protestant; b. at Maassluis (10 m. w. of Rotterdam) Oct. 29, 1837. He studied in Leyden, and was pastor at Beesd (1863-68), Utrecht (1868-70), and Amsterdam (1870-74). In 1874 he became a figure in the political life of Holland, being a member of the States-General for Gouda from that year until 1877. In 1894 he was again returned to the same body for Sliedrecht, and in 1901 became prime minister. In 1880 he founded at Amsterdam the Free University, where he has since been professor, lecturing on various topics as occasion requires. In theology he is a strict orthodox Calvinist, and as such founded the Reformed Free Church in 1886. He has lectured extensively in the United States, and in 1898 was L. P. Stone lecturer at Princeton Theological Seminary. Besides editing the Standaard (a daily newspaper) since 1872 and the Herout (weekly) since 1878, he has written many works, including: Eenvormigheid, de vloek van het moderne leven (Amsterdam, 1869); Het modernisme, een Fata Morgana op christelijk gebied (1871); Tractaat van de refomatie der kerken (1883); Het werk van den Heiligen Geest (3 parts, 1888-89; Eng. transl., New York, 1900); E voto dordraceno Toelichting op den Heidelbergschen Catechismus (4 parts, 1892-95); and Calvinism (Stone lectures, 1899). He also edited Johannes a Lasco's complete works (2 vols., Amsterdam, 1866); Kerkeraadsprotocollen der hollandsche gemeente te London, 1569-1571 (Utrecht, 1870); and F. du Jon's Opuscula theologica selecta (Amsterdam, 1882). Portions of his Encyclopaedie der heilige Godgeleerdheid (3 vols., Amsterdam, 1894) have been translated into English under the title, Encyclopedia of Sacred Theology: Its Principles (London and New York, 1898). Bibliography: L. H. Jordan, Comparative Religion, pp. 434--435, New York, 1905; W. H. de S. Lohman, Presbyterian and Reformed Review, ix (1898), 561 sqq. ; C. A. Mason, in Outlook, lxx (1902), 333 sqq. - in approximately date order of original. 1878. 'Liberalists and Jews' translated by Dr. Jann Schlebusch available on line here. 1879 Dr. A. Kuyper, Het heil in ons (1879; repr. Kampen: Kok, 1910), pp. 165?225. 1901. "Catholic Voters of District VIII" Source: Kuyper-archief, Historisch Documentatiecentrum VU, nr. 6460. 1907. The Mystery of Islam. Translated by Jan H. Boer. Chapter 1 of Volume 2 of Kuyper's Om de Oude Wereldzee (Around the Ancient Mediterranean Sea). 1909. "Kuyper on coalitions and antithesis." From Wij, Calvinisten . . . (Kok, Kampen, 1909), 11-18. Selection from an address to the 17th National Assembly of Anti-Revolutionary Party delegates, convened in Utrecht on 22 April 1909, in preparation for the coming general elections. 1909. "Kuyper on Calvin" From Wij, Calvinisten . . . (Kok, Kampen, 1909). Extract from Abraham Kuyper?s address to the 17th National Assembly of Delegates of the Antirevolutionary Party, gathered at Utrecht, 24 April 1909, in preparation for the upcoming general election campaign. This translation of pp. 149?52. ©Translation by Harry Van Dyke. 1912. Abraham Kuyper on separate organizations Pro Rege, or the Kingship of Christ (Kampen: Kok, 1912), 3:184?94 (§ XIX). Bishop, Steve 2013. "A bibliography of works on/ about Abraham Kuyper." In Bishop, S, and Kok, J. (eds). 2013. On Kuyper: A Collection of Readings on the Life, Work &amp; Legacy of Abraham Kuyper. Sioux Center: Dordt College Press, Ch. 33; pp. 453-476. The largest Kuyper online bibliography can be accessed at www.kuyperresearch.org which is maintained by Princeton Seminary. Broekman, M C van M. 'Abraham Kuyper' Die Religion in Geschichte und Gegenwart. second edn. vol 3 (1929). Rullman, J C. Kuyper-bibliographie 3 vols. Kampden: Kok, 1923, 1925, 1940. Vanden Berge, Ebenezer 1898. “Dr. A. Kuyper.” Banner of Truth 33 (October): 60.
de Savornin Lohman, Witsius H. 1898. “Dr. Abraham Kuyper.” The Presbyterian and Reformed Review 9(36). Minton, Henry Colin 1898. “Review of Kuyper’s Encyclopedia of Sacred Theology.” The Presbyterian and Reformed Review 10: 677–685. Hulst, John B. 1899. “Dr. Abraham Kuyper.” Banner of Truth 34 (December): 86–87. Warfield, Benjamin B. 1899. “Introductory note.” In Kuyper, A. Encyclopedia of Sacred Theology, Its Principles. London: Hodder and Stoughton. Warfield, Benjamin B. 1900. “Introductory note.” In Kuyper, A. The Work of the Holy Spirit. Funk and Wagnalls. Darling, Timothy G. 1901. “Review of The Work of the Holy Spirit.” The Presbyterian and Reformed Review 12: 499–506. Beets, Henry 1902. “Dr. 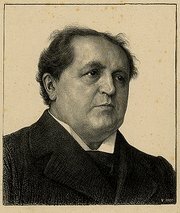 Abraham Kuyper; his life and principles [Parts 1–3].” Banner of Truth 36 (May): 170–174; (June): 186–188; (July): 10–13. Beets, Henry 1904. “Dr. Abraham Kuyper.” Banner of Truth 39: 65–68. Beets, Henry 1907. “Dr. Abraham Kuyper.” Banner 42 (October): 520–521. Beets, Henry 1920. “Dr. Abraham Kuyper [Parts 1–3].” Banner 55 (January): 53; (December): 730–731: 746–748. Beets, Henry 1921. The Calvinism of Dr. A. Kuyper – two publications of loving tribute to Dr. A. Kuyper. [Parts 1–4].” Banner 56 (February): 69, 100–101; (March): 164–165; (April): 229. Tanis, Edward J. 1921. “An appreciation of Dr. A. Kuyper.” Banner 56 (January): 9. Van Lonkhuyzen, Jan 1921. Abraham Kuyper – a modern Calvinist.” The Princeton Theological Review 19(1): 131–147. Beets, Henry 1925. “Dr. A. Kuyper as seen through German and American eyes.” Banner of Truth 39 (February): 26. Kolfhaus, Wilhelm 1930. “The significance of Dr. Abraham Kuyper for Reformed theology.” The Evangelical Quarterly 2: 302–312. Sherda, Zacharias J. 1930. “Kuyper’s Calvinism. Parts 1 – 3.” Banner 65 (February): 28; (March): 225; (March): 249. Kromminga, Diedrich Hinrich 1937. “Dr. Abraham Kuyper, Sr.” Banner 72: 1012–1015. Hendrik de Vries, John 1931. “Biographical note.” In Kuyper, A. Lectures on Calvinism. Grand Rapids, Eerdmans, i–vii. Bouma, Clarence 1937. “The centenary of Abraham Kuyper’s birth, and honoring the memory of Kuyper.” Calvin Forum 3: 51–52. Bouma, Clarence 1937. “Abraham Kuyper: kingdom warrior and kingdom builder.” The Banner 72: 1013–1014. Berkhof, Louis 1937. “Dr. Kuyper and the revival of Calvinistic doctrine.” Calvin Forum 3 (December): 104–106. Kuiper, Henry J. 1937. “How Abraham Kuyper influenced our churches in America.” Banner 72 (November): 966. Kuiper, Henry J. 1937. “My acquaintance with Kuyper.” Banner 72 (October): 966. Noteboom, J. W. 1937. “Kuyper’s significance for Christian politics.” Calvin Forum 3: 88–90. Tanis, Edward J. 1937. “Abraham Kuyper, Christian statesman.” Calvin Forum 3 (October): 53–56. Tanis, Edward J. 1937. “Kuyper’s centenary.” Banner 72 (December): 2. Vanden Berg, Frank 1937. “Dr. Abraham Kuyper.” Young Calvinist 18 (November): 3–5. Van Til, Cornelius 1937. “Reflections on Dr. A Kuyper.” Banner 72 (December): 1187. Volbeda, Samuel 1937. “Dr. Abraham Kuyper as a churchman.” Calvin Forum 3 (November): 85–88. Vogel, Leroy 1937. “The political party of Abraham Kuyper.” Calvin Forum. 3 (October): 58–60. Vanden Berg, Frank 1940. “The seven cities of Dr. Kuyper.” Christian Home and School 19 (November): 9–10. Van Til, Cornelius 1947. “Abraham Kuyper’s doctrine of common grace.” Common Grace and the Gospel. Nutley: Presbyterian and Reformed. Van der Kroef, Justus M. 1948. “Abraham Kuyper and the rise of neo-Calvinism in the Netherlands.” Church History 17(4): 316–334. Jellema, Dirk W. 1950. “Abraham Kuyper: forgotten radical?” Calvin Forum 15 (April): 211. Jellema, Dirk W. 1950. “Kuyper and the crisis of the West.” Banner 85 (February): 156–157. Rullman, J. C. 1950. Abraham Kuyper on Evolution, Grand Rapids, Youth and Calvinism Group. Stob, George 1950. “Abraham Kuyper on evolution [book review].” Banner 85 (September): 1075. Rooy, Sidney H. 1956. “Kuyper vs. Warfield: an historical approach to the nature of apologetics.” STM Thesis, Union Theological Seminary. Jellema, Dirk W. 1957. “Abraham Kuyper’s attack on liberalism.” Review of Politics 19(4). Jellema, Dirk W. 1958. “Kuyper’s visit to America in 1898.” Michigan History 42: 227–236. Kuiper, Henry J. 1959. “Abraham Kuyper on inspiration. Parts 1–3.” Banner 94 (8 May): 9; (29 May): 9; (12 June): 9. Kuiper, Henry J. 1959. “Kuyper on the criticism of scripture.” Banner 94 (19 June): 9. Van Til, Henry R. 1959. “Abraham Kuyper: theologian of common grace.” In The Calvinistic Concept of Culture. Nutley, NJ, Presbyterian and Reformed, ch. 8. Kuyper, Catherine M. E. 1960. “Abraham Kuyper: his early life and conversion.” International Reformed Bulletin 3 (April 1960): 19–25. Also in Calvin Forum (1950) 16(4): 64–67. Vanden Berg, F. 1960. Abraham Kuyper. Eerdmans: Grand Rapids. Hoekema, A. A. 1961. “Kuyper, Bavinck and infallibility.” Reformed Journal 11: 18–22. Witt, Cornelius 1961. “Abraham Kuyper.” Banner 96 (May): 14. Runia, K. 1962. “Dr. Kuyper on… the Outpouring of the Holy Spirit At Pentecost and later on.” Trowel and Sword (May). Jellema, Dirk W. 1965. “Abraham Kuyper’s answer to ‘liberalism.’” Reformed Journal 15 (May/June): 10–14. De Jong, Peter 1966. “Kuyper on the American church scene.” Torch and Trumpet 16 (September): 14–15. Ambler, Rex. 1967. “The Christian mind of Abraham Kuyper.” In Profitable for Doctrine and Reproof. London: Puritan and Reformed Studies Conference. Mennega, Aaldert 1968. “Abraham Kuyper and evolutionism.” Banner 103: 10. Vander Stelt, John C. 1969. “Christian Social action and sphere sovereignty.” National Congress of the Christian Action Foundation, Dordt (July). Faber, J. 1970. “The incarnation of the word.” Translated by R. Koat first published in Dutch as “Kuyper over de Vleeswording des Woords.” The Canadian Reformed Magazine 19 (Dec.): 5–9. Langley, McKendree R. 1971. “Abraham Kuyper 1830–1875: How Kuyper broke the stronghold of humanism in Dutch politics, and the Christian principles of thoughtful action that lead him to do it.” Vanguard (May/ June): 7–10, 22. Mennega, Aaldert 1971. “Science, evolution, and Abraham Kuyper.” Outlook 21 (September): 23–24. De Jong, Peter 1972. “The Bible and church doctrine.” The Outlook 22: 8–9. Star, Ring 1972. “Appeals to Kuyper for a literal Genesis.” Banner 107 (March): 20. Skillen, James W. 1972. “The political theory of the Dutch statesman, Abraham Kuyper (1837–1920).” Masters Thesis. Department of Political Science, Duke University. Westra, John 1972. “Confessional political parties in the Netherlands, 1813–1949.” PhD Thesis. University of Michigan. Zuidema, S. U. 1972. “Common grace and Christian action in Abraham Kuyper.” In Communication and Confrontation. Toronto: Wedge, 52–105. De Gaay Fortman, W. F. 1973. “Kuyper and the social problem.” Perspective Newsletter 7: 12–15. De Jong, Peter Y. 1973. “Comments on criticism of Dr. A. Kuyper.” Outlook 23 (June): 10–11. Nichols, Anthony H. 1973. “Abraham Kuyper: a summons to Christian vision in education.” Journal of Christian Education, 16 (October): 78–94. Vander Stelt, John 1973. “Kuyper’s semi-mystical conception.” Philosophia Reformata 38: 178–190. Zwaanstra, Henry 1974. “Abraham Kuyper’s conception of the church.” Calvin Theological Journal 9(2): 149–181. Fernhout, Harry 1975. “Man, faith, and religion in Bavinck, Kuyper, and Dooyeweerd.” M Phil Thesis. Institute for Christian Studies. Nichols, Anthony H. 1975. “The educational doctrines of Abraham Kuyper: an evaluation.” Journal of Christian Education 18: 26–37. Lloyd Jones, D. Martyn 1976. “The French Revolution and after.” The Christian and the State in Revolutionary Times. London: Westminster Conference, ch 6. Fernhout, Harry 1978. “Man, faith and religion in Bavinck, Kuyper and Dooyeweerd (I)–(III).” Journal of Christian Scholarship. Vander Werff, Pieter H. 1978. “Kuyper no evolutionist.” Banner 113 (August): 23–24. Langley, McKendre R. 1979. “The political spirituality of Abraham Kuyper.” International Reformed Bulletin 76: 4ff. Vander Werff, Pieter H. 1979. “Dr. Abraham Kuyper and evolutionism.” Banner 114 (February): 23–24. Kuyper Newsletter 1(1) (January) 1980. Spykman, Gordon 1980. “A Kuyper logo.” 2–3. McCarthy, Rockne J. 1980. “The Kuyperian tradition and mediating structures.” 3–4. Mouw, Richard J. 1980. “Kuyper and South Africa.” 6–7. Spykman, Gordon 1980. “Kuyper on political cartooning.” 4–6. Kuyper Newsletter 1(2) (June) 1980. Mouw, Richard 1980. “Our readership.” 1–2. Spykman, Gordon 1980. “Flashbacks.” 2–3. Jansen, John F. 1980. “A Kuyper vignette.” 3-4. Brinks, Herb 1980. “Abraham Kuyper: it might have been.” 4-5. Skillen, James W. 1980. “Kuyper on covenant and politics.” 5-6. Jellma, Dirk W. 1980. “Martyn Lloyd Jones on Kuyper.” 6-7. Jellma, Dirk W. 1980. “Evolutionism.” 7. Jellma, Dirk W. 1980. “Bibliographical notes.” 7-8. Kuyper Newsletter 1(3) (December) 1980. Mouw, Richard J. 1980. “One hundred years of Kuyper’s ARP.” 1. Spykman, Gordon 1980. “The sly cartoon.” 2–3. Voskuil, Louis J. 1980. “A note on Emile Boutmy.” 3–4. Vander Weele, Steve J. 1980. “Kuyper’s devotional works an overview.” 4–5. McCarthy, Rockne J. 1980. “Kenneth McRae on societal pluralism.” 5–6. McCarthy, Rockne J. 1980. “Sphere sovereignty – strategy or ideal?” 6. Jellema, Dirk J. 1980. “Bibliographical notes on materials in English.” 7. Lee, Francis Nigel 1980. “Abraham Kuyper and the rebirth of knowledge.” The 1980 Commencement address Graham Bible College. de Jong, James A. 1981. “Henricus Beuker and De Vrije Kerk on Abraham Kuyper and the Free University.” In Building the House: Essays on Christian Education, edited by James A. De Jong and Louis Y. Van Dyke. Sioux Center: Dordt College Press, 27–45. Kuyper Newsletter 2(1) (April) 1981. Jellema, Dirk J. 1981. “Kuyper and Pierre Van Paasen.” 1–2. Vander Weele, Steve J. 1981. “Encyclopdeia of Sacred Theology.” 3–4. McCarthy, Rockne J. 1981. “Kuyper and South Africa.”4–5. Jellema, Dirk J. 1981. “Notes and queries.” 5–6. Jellema, Dirk J. 1981. “Bibliographical notes on materials in English.” 6–7. Bolt, John 1981. “Kuyper and Herman Bavinck (1).” 1–2. Brinks, Herb 1981. “Kuyper in Michigan.” 2–3. Spykman, Gordon 1981. “Fido with his bone.” 4–5. De Jong, James 1981. “Hendricus Bruker and Kuyper.” 5. Carpenter, Joel 1981. “On Kuyper as evangelical leader.” 6. Jellema, Dirk J. 1981. “Notes and queries.” 6–7. Jellema, Dirk J. 1981. “Bibliographical notes on materials in English.” 7. Langley, McKendrick R. 1981. “Creation and sphere sovereignty in historical perspective.” Pro Rege 9: 12–22. Seel, David John, Jr. 1981. “Critical comparison of Abraham Kuyper’s and Klaas Schilder’s views on the basis of Christian cultural responsibility.” Salt: Official Student Publication of Covenant Theological Seminary 9(2) (Spring): 20–29. Van Til, Nick 1981. “Calvinism and art (1).” Pro Rege 9(3): 10–20. Gaffin, Richard B. 1982. “Old Amsterdam and inerrancy.” Westminster Theological Journal 44(2): 251–289. Dooyeweerd, Herman 1982. “Dooyeweerd commemorates Kuyper.” Anakainosis 5(1). Monsma, Timothy Martin 1982. “Kuyper and Orange City.” Banner 117 (June): 2, 4. Van Schouwen, Cornelius J. 1982. “A. Kuyper on headship.” Outlook 32: 24. Hexham, Irving 1983. “Christian politics according to Abraham Kuyper.” Crux 11(1) (March): 2–7. Vander Goot, Henry 1983. “Portraits of Kuyper.” Christian Renewal, 1 (April): 2. Deenick, J. W. 1984. “Christocracy in Kuyper and Schilder (the theory and the practice of it).” Reformed Theological Review 43: 42–50. Gousmett, Chris 1984. “Bavinck and Kuyper on creation and miracle.” Anakainosis 7(1/2): 1–19. Langley, McKendree R. 1984. The Practice of Spirituality: Episodes in the Public Career of Abraham Kuyper. Ontario: Paideia. Tangelder, Johan D. 1984. “Abraham Kuyper (1837–1920)—the antithesis theologian.” Christian Renewal 3 (November): 8. Hexham, Irving 1984. “Abraham Kuyper.” In Evangelical Dictionary of Theology, edited by Walter A. Ewell. Baker/ Paternoster: Carlisle/ Grand Rapids, 616. Praamsma, Louis 1985. Let Christ be King: Reflections on the Life and Times of Abraham Kuyper. Paideia: Ontario. De Jong, James A. 1986. “Abraham Kuyper’s edition of the Institutes.” Calvin Theological Journal 21(2): 231–232. De Jong, Peter 1986. “1886 – a year to remember.” Mid-America Journal of Theology 2: 7–52. Praamsma, Louis 1986. “A great enterprise.” Christian Renewal 5 (October). Vander Hart, Mark D. 1986. “Abraham Kuyper and the theonomy debate.” Mid-America Journal of Theology 2(1): 63–77. Vander Kam, Henry 1986. “Some Comments on Kuyper and common grace.” Mid-America Journal of Theology 2(1): 53–62. Bratt, James D. 1987. “Abraham Kuyper’s public career.” The Reformed Journal 37(10): 9–12. Bratt, James D. 1987. “Raging tumults of soul: the private life of Abraham Kuyper.” The Reformed Journal 37(11): 9–13. Bratt, James 1987. “Kuyper’s legacy in North America.” In Abraham Kuyper: Zijn Volksdeel, Zijn Invloed, edited by C. Augustijn, et al. Delft: Meinema. Bratt, James D. 1987. “Abraham Kuyper: 150th birthday anniversary.” Origins 5(2): 23–27. Ericson, Edward E. 1987. “Abraham Kuyper: cultural critic.” Calvin Theological Journal 22(2): 210–227. De Jong Peter Y. 1987. “Abraham Kuyper on Russia and the “Filioque” clause.” Mid-America Journal of Theology 4(1): 54–82. Pronk, C. 1987. “F. M. Ten Hoor: defender of Secession principles against Abraham Kuyper’s Doleantie views.” Master of Theology Thesis. Grand Rapids, MI: Calvin Theological Seminary. Schoffer, I. 1987. “Abraham Kuyper and the Jews,” In Veelvormig verleden Zeventien studies in die vadelandse geschiedenis. Amsterdam: De Bataafsche Leeuw, 159–170. Wintle, Michael J. 1987. Pillars of Piety: Religion in the Netherlands in the Nineteenth Century, 1813–1901, Hull: Hull University Press. Durand, J. 1988. “Church and State in South Africa: Karl Barth vs. Abraham Kuyper.” In On Reading Karl Barth in South Africa, edited by C. Villa-Vicencio. Grand Rapids: Eerdmans, 121–138. De Gooyer, A.C. and Rudolf Van Reest, R. Abraham Kuyper – A Close-Up: A Treasury of the Personal and Pious Kuyper. Transl. and eds. Jan H. Boer and Frances A. Boer-Prins.